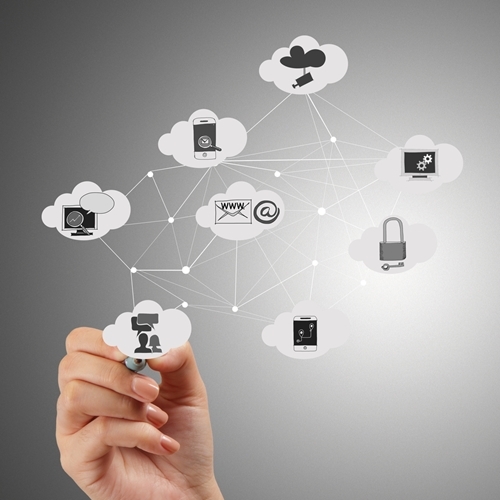 Cloud integration remains a high-level priority for the federal government. Efforts are underway at virtually every agency to help departments shift operations and data into cloud environments as a means of improving efficiency, computing performance and more. These initiatives have delivered significant progress, as many organizations within the U.S. government now leverage cloud computing in various capacities. However, as The Whir contributor David Hamilton recently pointed out, government adoption of cloud services is likely to slow in the coming years, due to a number of factors. Without a doubt, the cloud's role in the government is increasing. As the source pointed out, IDC projects federal private cloud spending to surpass $7.5 billion by 2017. Speaking to the news source, Joel Cherkis, worldwide government GM for Microsoft, identified several major reasons why cloud integration has and will continue to see progress in the federal space. First, there is the issue of security. The development of FedRAMP and other programs has established security standards that make it easier for government agencies to move toward a cloud-based deployment without putting their sensitive data at risk or violating compliance with any regulations. The source noted that the Department of Defense's recent deployment of cloud plans is strong evidence of the fact that security is no longer a major obstacle to federal cloud efforts. Another key reason for the cloud's progress in the federal government, according to Cherkis, is the increasing prominence of demonstrable ROI. Expense has always been a roadblock to greater federal cloud integration, but as earlier projects begin to deliver a positive ROI, it is much easier for managers and other leaders to justify the decision to pursue these solutions. Despite all of the factors and progress described above, Hamilton argued that federal cloud adoption is poised to slow in the near future. Most significant is the simple fact that a lot of the easy work in this area has already been accomplished. He noted that the U.S. Army adopted a cloud-based enterprise email system a few years ago, saving $100 million in the process. while this was obviously successful, there is no other, equally simple cloud integration effort that the Army can now pursue to repeat these results. Another major reason that cloud adoption is likely to slow is the lack of experience on the part of government staff, Hamilton explained. In order to fully take advantage of investments in the technology, personnel need to know about the cloud and be eager to use it. As they pursue more advanced cloud solutions, this need will increase, but it appears that workers' cloud knowledge is not keeping pace. On this count, though, government leaders can take definitive steps to make the path for cloud integration easier. Specifically, agency managers and other decision-makers should provide IT training opportunities for their staff. This will not only help government personnel understand the cloud better, but also emphasize its value for their daily work responsibilities. Also click here to see the Round Up Lawsuit to see if you could have a case.